Track your 0-60 mph, 60-130 mph, 0-130 mph, 1/4 mile, 1/2 mile performance with Dragy! 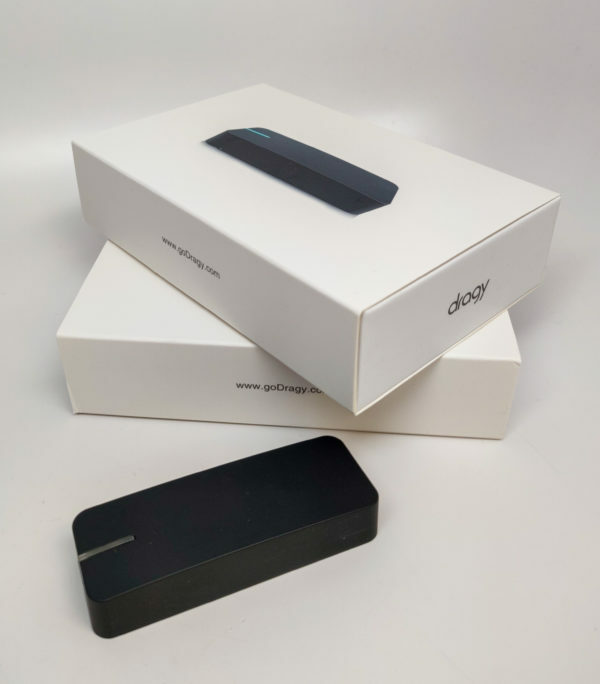 Dragy uses high speed GPS satellites to accurately measure your vehicles performance within 1/100th of a second, producing identical results to the much more expensive and cumbersome VBOX system, in a less expensive and easier to use package. The Dragy software automatically charts slope on all timeslips which you can then post to forums or social media, share with friends, or even upload to the Dragy leader board. The Dragy box is extremely compact at 1″ x 3″ (25.4mm x 76.2mm) and can be set on the dash when testing and stored in the glove box or center console when not in use.